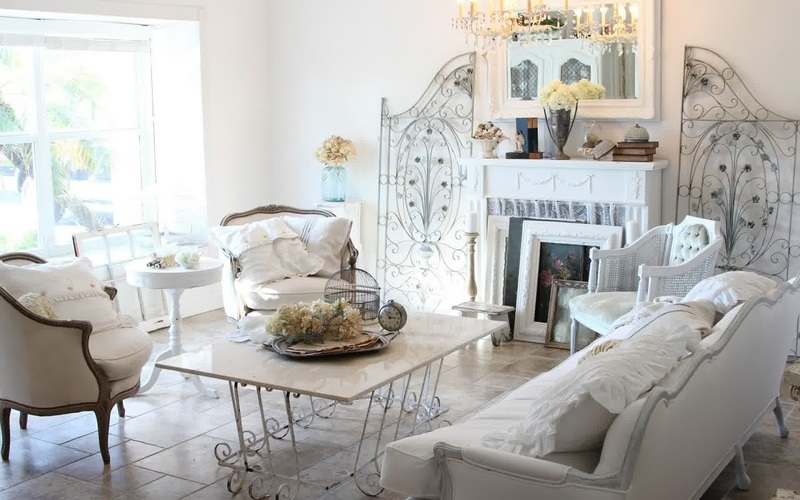 Shabby chic is a charming style in the 90s that use mixes of soft colors. If you are looking for ideas to decorate the living room, this might be an option. Shabby chic living room is a great alternative style that can be chosen by people who are bored with the conventional style. This style utilizes a shortage of an item; showing the authenticity and decorative details that are owned by the furniture in the living room. This style has a feminine impression, unique, soft pastel colors that soothes. It is a perfect mix for a room that expects a natural element that classy with an impression of nature, the countryside, chic and modern. Shabby chic style is not only from furniture, accessories, and goods originating from different eras. Currently, the designers have been mix some texture, such as rustic with modern colors, but did not leave the impression of shabby chic from the item. It is a modern step. We do not have to bother looking for items from auction or flea market. We can order furniture shabby chic with new material. Or you can get them from old stock or pieces of old furniture shops with low prices. To get shabby chic living room, you have to understand the key. 1. You have to consider about color combinations. Like we said before, it is used soft pastel colors in all your accessories, furniture, and other items in that room. To create the cottage feel’s you can use a light blue, delicate pink, or lavender. For nuances beach, a mixture of yellow sand with light blue and light gray. Or you can use white combined with some details of the detail of the furniture and added with floral as decorative. 2. Shabby chic living room exploits multiple prints and fabrics in appearance. Some types of fabric can help to create a feminine room and can also be a pattern pop to the room, especially the lace which can be called as the heart of a shabby chic style. Print, you can choose from floral theme, such as roses that create the impression of cute. However, if you want to really get the impression of a shabby chic living room, you can use a handmade quilt. 3. To support print and fabric, you can use iron or wood. The second material that is the easiest way to create a shabby chic look. They are also very easy to get. In antic furniture stores always provide the furniture and accessories of the materials. You can decorate a living room with a wooden table with a paint that is not intact or long sofa wrapped with a white fabric. 4. As a complement, accessories strongly support the view. If you want to collect a few accessories from different eras, join them with color. For example, if you have a white seat, combine it with a table light gray.